Once you have received a copy of the Respondent's Acknowledgement of Service (or confirmation from the Family Court that the judge has granted your application for deemed service etc.) then you will be able to move on to the next stage of the divorce process. This is known as Decree Nisi. It is the first of two 'decrees' (the second and final one being Decree Absolute). To apply for Decree Nisi, you will need to complete the application for Decree Nisi on Form D84. 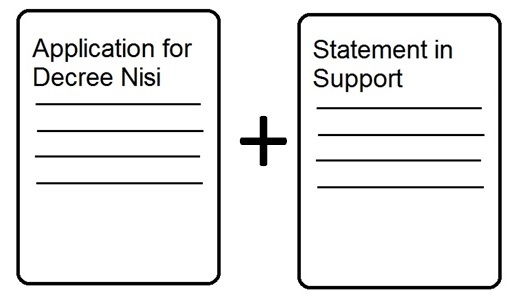 You will also need to send an accompanying document known as a Statement in Support. If you have a copy of the Respondent's response (Acknowledgement of Service, etc.) then you should also include this. There are five different Statement forms and you will need to choose the one that matches the reason you provided in the Divorce Petition: e.g. if you said adultery in the Divorce Petition then you will need the adultery Statement. There is no fee for filing for Decree Nisi.